In a world of infinite risk, the stakes have never been so high. Beyond the pull of life and death lies the Immortal game. Edie Kramer has leaped back to put things right and save the boy she loves. Alone in the wrong timestream, she must reinvent herself and square off against dangerous Immortals determined to win this mortal match once and for all. 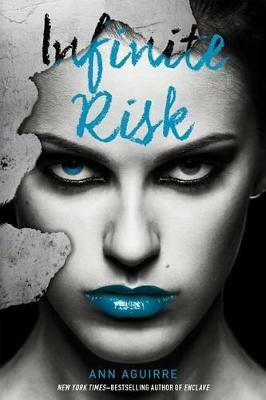 New York Times-bestselling author and creator of the Razorland series Ann Aguirre delivers an absolutely thrilling and unforgettable YA fantasy romance with Infinite Risk, the conclusion to the Immortal Game trilogy that started with Mortal Danger and Public Enemies. "Mortal Danger" "The story has a freshness and intelligence that puts it at the top of the genre . . . . A standout trilogy opener." -"Kirkus Reviews," starred review"Bullied and humiliated, Edie is set to exit this life when Kian, a preternaturally attractive stranger, appears with an offer that is more appealing than jumping off a bridge . . . . her inner dialogue keeps readers on track with her persisting insecurities, ensuring that readers will be fully on board as she prepares to do battle in the promised sequel." -"The Bulletin""This will be a popular, fun, and fast-read series that can encourage discussion about true beauty, friendship, popularity, loyalty, and choices." -"VOYA""Aguirre has crafted a sophisticated novel that combines science, horror, and romance amid the realities of high-school cultures. Readers will eagerly anticipate sequels to this frightening, exciting, and erudite celebration of smart teens." -"Booklist""An interesting premise . . . For teens with a penchant for fantasy/horror mash-ups." -"School Library Journal"